[230 Pages Report] The global epigenetics market is projected to reach USD 1.60 billion by 2022 from USD 0.85 billion in 2016, at a CAGR of 13.3% from 2017 to 2022. The growth in this market is primarily attributed to decreasing sequencing costs, increasing research activity, funding for epigenetics research, rising prevalence of cancer and growing applications of epigenetics in non-oncology diseases. Expanding application areas of epigenetics in non-oncology diseases, personalized medicine, and target therapy are expected to provide growth opportunities for players operating in the epigenetics market in the coming years. The base year considered for the study is 2016, and the forecast has been provided for the period between 2017 and 2022. During this research study, major players operating in the epigenetics market in various regions have been identified, and their offerings, regional presence, and distribution channels have been analyzed through in-depth discussions. Top-down and bottom-up approaches have been used to determine the overall market size. Sizes of the other individual markets have been estimated using the percentage splits obtained through secondary sources such as Hoovers, Bloomberg BusinessWeek, and Factiva, along with primary respondents. The entire procedure includes the study of the annual and financial reports of the top market players and extensive interviews with industry experts such as CEOs, VPs, directors, and marketing executives for key insights (both qualitative and quantitative) pertaining to the market. The figure below shows the breakdown of the primaries on the basis of the company type, designation, and region considered during the research study. 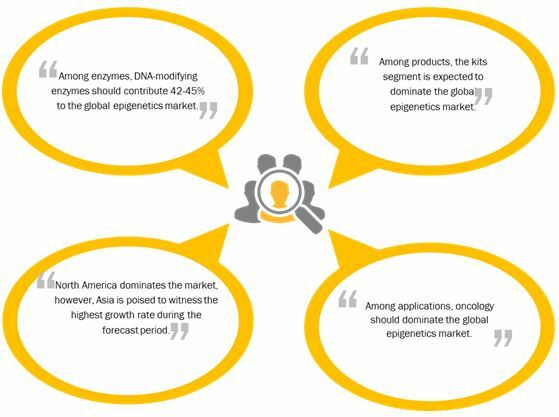 The epigenetics market is fragmented with a large number of players offering a variety of products. The prominent players in the global epigenetics market are Illumina (US), Thermo Fisher Scientific (US), Merck Millipore (US), Abcam (UK), Active Motif (US), Bio-Rad Laboratories (US), New England Biolabs (US), Agilent (US), QIAGEN (Netherlands), Zymo Research (US), PerkinElmer (US), and Diagenode (Belgium). What are new application areas which the reed sensor companies are exploring? 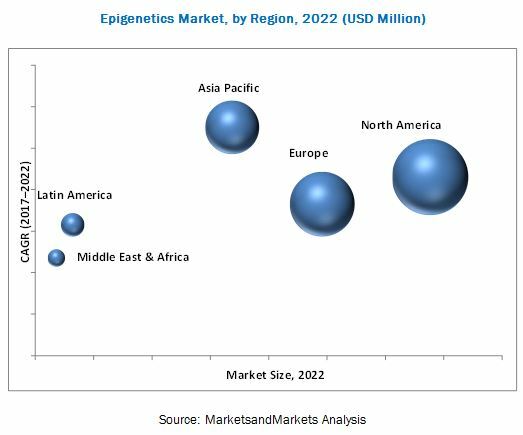 The global epigenetics market is projected to reach USD 1.60 billion by 2022 from USD 0.85 billion in 2017, growing at a CAGR of 13.3% during the forecast period. Decreasing sequencing costs, increasing research activity, funding for epigenetics research, rising prevalence of cancer and growing applications of epigenetics in non-oncology diseases are the factors contributing for the growth of this market. Epigenetics refers to the covalent modification of DNA, RNA, or protein that results in changes to the function and/or regulation of these molecules, without altering their primary sequences. These modifications can occur naturally, or can be influenced, by several factors including age, environment, disease state, and changes in lifestyle. The report analyzes the global epigenetics market by product, applictaion, technology, end user, and region. Based on product, the global epigenetics market is segmented into enzymes, instruments and consumables, kits, reagents and bioinformatics tools. By product, the epigenetics market is segmented into kits, reagents, enzymes, instruments & consumables, and bioinformatics tools. The kits segment is expected to grow at the highest CAGR of 16.2% from 2017-2022 due to the fact that a large number of kits are used in various epigenetics techniques. The rising prevalence of a number of diseases, increasing R&D spending, and growing government funding for life science research are further contributing to market growth in this segment. The epigenetics market in Asia-Pacific region is expected to witness the highest CAGR during the forecast period of 2017 to 2022. The growth of this segment can be attributed to the increasing R&D spending, increasing government initiatives, and rising focus on key market players in the region. Emerging markets such as Brazil, China, and India offer significant growth potential to market players. This can primarily be attributed to the diversified healthcare market in this region, growing incidence of infectious and chronic disorders, and increasing R&D initiatives targeted at the development of innovative genomic techniques. In addition, developments in research infrastructure, increasing R&D expenditure, low labor cost, and rapid growth in the number of CROs and pharmaceutical industry are encouraging market players to invest in these countries. Oncology is one of those applications where epigenetics technology is extensively used for deriving therapeutic strategies designed to reverse transcriptional abnormalities inherent to the cancer epigenome. The disruption of epigenetic modifications, such as DNA methylation and histone modification, results in altered gene function or expression and cellular transformation leading cancer. Epigenetics assists in the development of inhibitors of DNA methyltransferases and histone deacetylases (HDACs), which have been found to be clinically effective in cancer treatment, attesting to the value of epigenetic therapies in oncology. With the major hold of epigenetics in oncology, it is also being used to study modifications in various other applications, such as cardiovascular, neurodegenerative, autoimmune, and metabolic diseases. These diseases involve epigenetic modifications which can be counteracted by epigenetic treatments. These modifications seem an ideal target because they are reversible, unlike DNA sequence mutations. The most popular of these treatments aim to alter either DNA methylation or histone acetylation. Thus, a comprehensive understanding of epigenetic mechanisms and their interactions and alterations in health and diseases has become a priority in biomedical research. Where will all the factors shaping this technology market, take it in the next five years? What are the upcoming applications for epigenetics? Instruments required for epigenetics research are expensive as they are equipped with advanced features and functionalities. For instance, Illumina’s NovaSeq 5000 and 6000 sequencers (launched in January 2017) are priced at USD 850,000 and USD 985,000, respectively. In addition, maintenance and several other indirect expenses, such as sample and consumables, further increase the overall cost of ownership. Pharmaceutical companies and research laboratories require many such systems. Therefore, significant investments are required for procuring multiple, high-cost genomic instruments. End users such as academic research laboratories find it difficult to afford such systems as they have constricted budgets. High instrument costs, therefore, hinder their wide adoption, which is expected to restrict market growth during the forecast period. The global epigenetics market is characterized by a large number of players. The prominent players of this market are Illumina (US), Thermo Fisher (US), Diagenode (Belgium), QIAGEN (Netherlands), Merck Millipore (US), Abcam (UK), Active Motif (US), New England Biolabs (US), Agilent (US), Zymo Research (US), PerkinElmer (US), Bio-Rad (US). These companies are pursuing several organic and inorganic growth strategies such as acquisitions, collaboration, partnerships, agreements, expansions, and product launches.